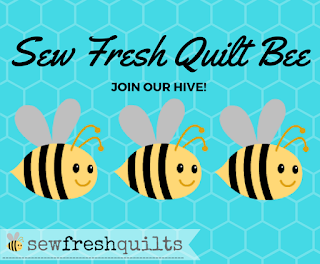 If you are a regular at Sew Fresh Quilts, you may have noticed things have changed this past week. If you are prepared to hear the long version of the story, I am ready to share some news with you today. After much consideration, I have decided on the addition of a new left hand sidebar. This new sidebar is primarily to allow for the placement of paid advertising (Blog Sponsors) and affiliate advertising (Affiliate Links). 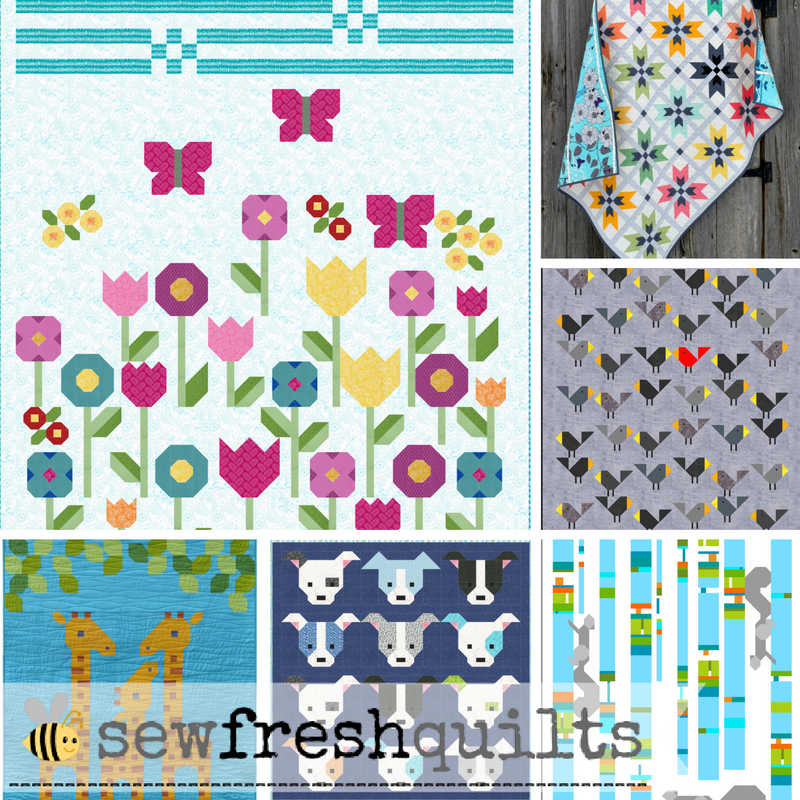 The layout of Sew Fresh Quilts is perhaps a little cluttered looking now and kinda squishy. But I wanted to be completely up front with you about my reasoning for this new addition. And to disclose to you, "What exactly does this mean????" Many quilters don't blog. And a lot of quilters do blog. Some quilting bloggers do so purely for their own enjoyment and to meet other like-minded creative people who are willing to share what they are making too. And then there are a few quilting bloggers who want to do that AND find that they enjoy it so much, they want to make it their business. Over the years, I have striven to share quilting knowledge with the sweet people who read my quilting blog. In the early days I wrote a lot of tutorials and tips that you can see here and here. I felt that if there were new techniques I was learning, there would be others who would like to learn these techniques too. 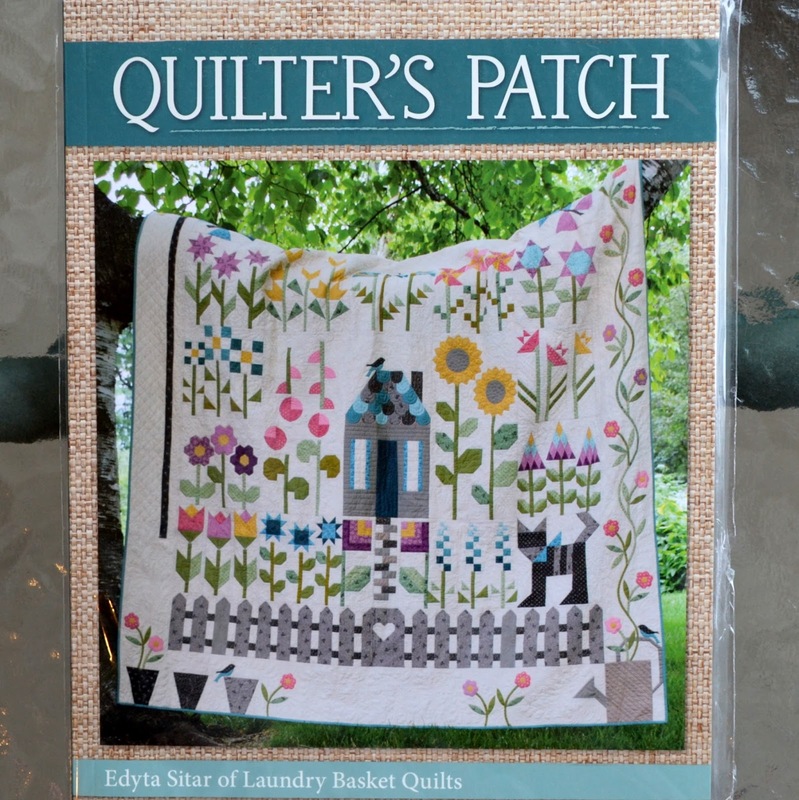 And that is something I wanted to share with my fellow quilters and those who, like I had been, were scouring the internet in search of answers to their quilty questions. Mr. Google, "How do I ________________? " It took me a while to develop my skills. And to develop friendships. 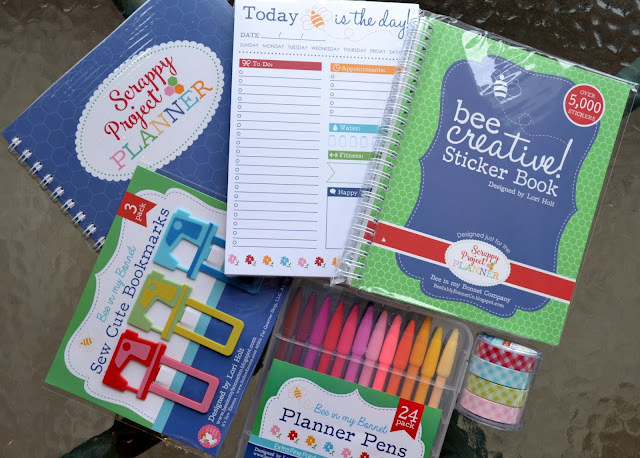 The Let's Bee Social weekly Wednesday link up has been going on for over three years now and I am so thankful that my friends keep coming back. It's so nice to have you linking up, supporting the party and participating in making others feel welcome. Your visits to the others who link up mean a lot to me! I do appreciate it so much when I see the names of my friends in the comments on other people's blogs and read all the kind and encouraging comments that you leave. And this has made me very happy. Quilting makes me content. Blogging makes me feel like I have a place and a people that I belong. And together these things have taken me to new heights. During the last couple of years, I have ventured even further. I started developing a style of my own. And to design and sell my own quilt patterns. And to get out into the real world and meet people in real life through offering trunk shows and workshops to guilds within my area. Really, this is what surprises me the most. I am a home-body by nature. I like my alone time. I live for the wearing of my pajamas. But I am having so much fun with everything that this new step has brought into my life. My sense of independence has been restored. I feel like my life, once again, has a purpose beyond being wife, mom, head cook and bottle washer. For those who doubted it could be done.... For those who "gave me that look" - you know the one where they roll their eyes and snicker - when I told them I am quilting.... I am proud, happy and content to say that, "I am quilting as a business." I don't yet know what tomorrow will bring, but I am so glad to be on this journey and to be sharing in your journey, too. Each day is a joy. And I'll do the dishes tomorrow. But just because I am "quilting as a business" doesn't mean that I don't still want to have fun. For the last two years I have been hosting Quilt Alongs here on the blog, and those have been, and are, so much fun for me. Sure... I sell patterns, and I REALLY appreciate those of you who do make purchases from my shop. But with a quilt along, we interact! And I love to be able to see what you are making! And what fabrics you chose! And it's like one big quilt along party! So.... Oh, ya.... What was I talking about again? Quilting. Blogging. Business... Disclosure, ya! That's it! This past year things have really developed. I reached the limit for how much you can earn without having to charge sales tax, so now my fellow Canadian customers will find that, according to your provincial taxation regulations, this tax is added to your online order. As a business owner, I want to be able to maximize my earnings. But I don't want to stop sharing the free stuff. What free stuff? Tutorials. Quilt Alongs. Quilt Blocks. Giveaways. All of this free stuff, in addition to the patterns I develop, take time to create, prepare, organize, write posts for, and stuff. So in an effort to earn more money, instead of ending the free stuff, I decided to add a sidebar with Blog Sponsors and Affiliate Links. What are Blog Sponsors? Blog Sponsors are typically quilt fabric shop owners who are willing to pay to have their logo and a link to their website shared on your blog for a monthly fee. Do you ever purchase fabric online? If so, do you ever go to that fabric shop website by clicking on a logo found in a quilting bloggers sidebar? If you do, you are helping that quilting blogger to generate sales for their sponsors. And that makes everyone happy. 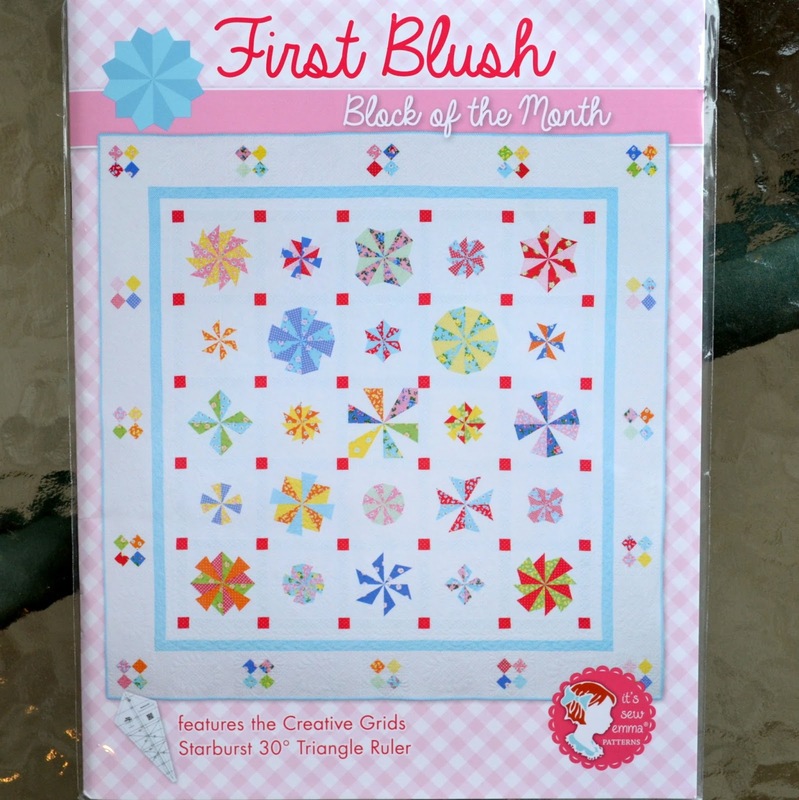 The quilt shop sees that there is traffic coming from the blog they are sponsoring. So they are happy that their ad is working to generate sales. The blogger is happy that the sponsor is happy and wants to continue to pay to have their logo on the blog. And best of all..... The online fabric shopper is happy because they were going to make a purchase anyways... Why not support the blogger to make their business grow? What are Affiliate Links? Affiliate Links are ads that link to the website of the advertiser/seller. Typically, these affiliate links do not provide the blogger with any monetary gain unless there is a sale generated from shoppers clicking on the ad and making a purchase. The cycle of happiness works much the same way as it does in the Blog Sponsor situation. Thank you for hearing me out. And I hope you can understand my reasoning for adding the new sidebar. I mean, there is no way I would add any Blog Sponsors or Affiliate Links that I didn't believe I would purchase from myself. I do! In searching out interest for blog sponsors, the first thing I did was reach out to those whom I have already been purchasing from for years. ARE YOU READY FOR SOME MORE FUN AND SOME MORE FREE STUFF? 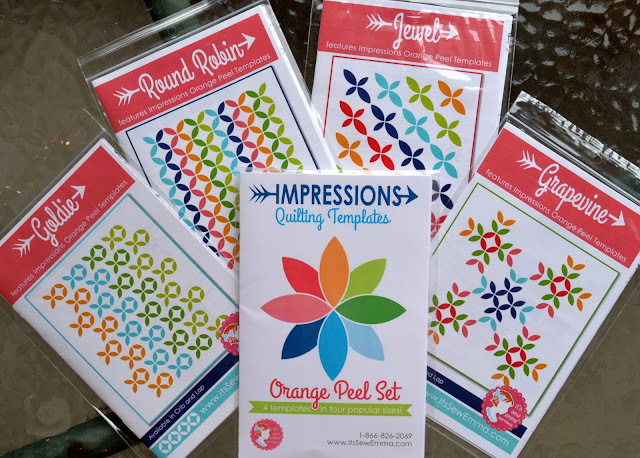 The Quilty Planner set, the Orange Peel Template set, the Quilter's Patch book and the First Blush book were all sent to me by Fat Quarter Shop as a gift, LONG BEFORE THE MENTION OF SPONSORSHIP OR PAID ADVERTISING WAS EVER MENTIONED. I know I won't use these items and I want to pass these gifts all along to my readers. I will personally be covering the cost of shipping these items to the winners. Paying it FORWARD! There are 5 separate prizes and there will be 5 individual winners chosen. Winner will be randomly chosen on February 14th and notified by email. I have been a busy, busy bee and I'm enjoying a little sewing time working on these Bee Blocks! 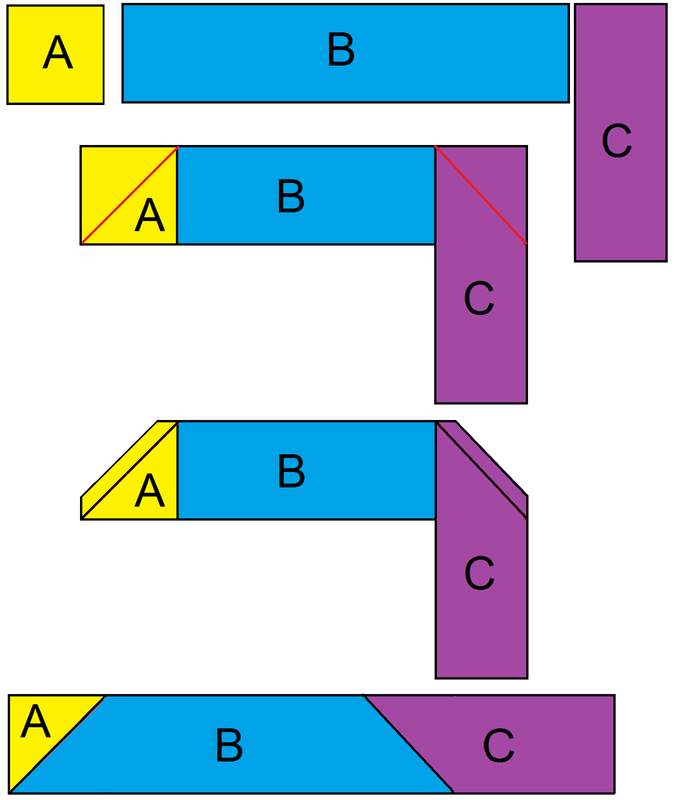 This type of piecing is not normal for me. I don't usually sew without a plan already laid out. And I don't do improv. But it's a nice and relaxing method of piecing. I am keeping my charm squares whole and am piecing in a wonky slab block style. So that brings my total to 27 finished blocks. I have 5 more charms to go, for a total of 32. This is the second quilt block for the "Have a Jolly Little Christmas" quilt along! All the details for the "Have a Jolly Little Christmas" quilt along are this page. 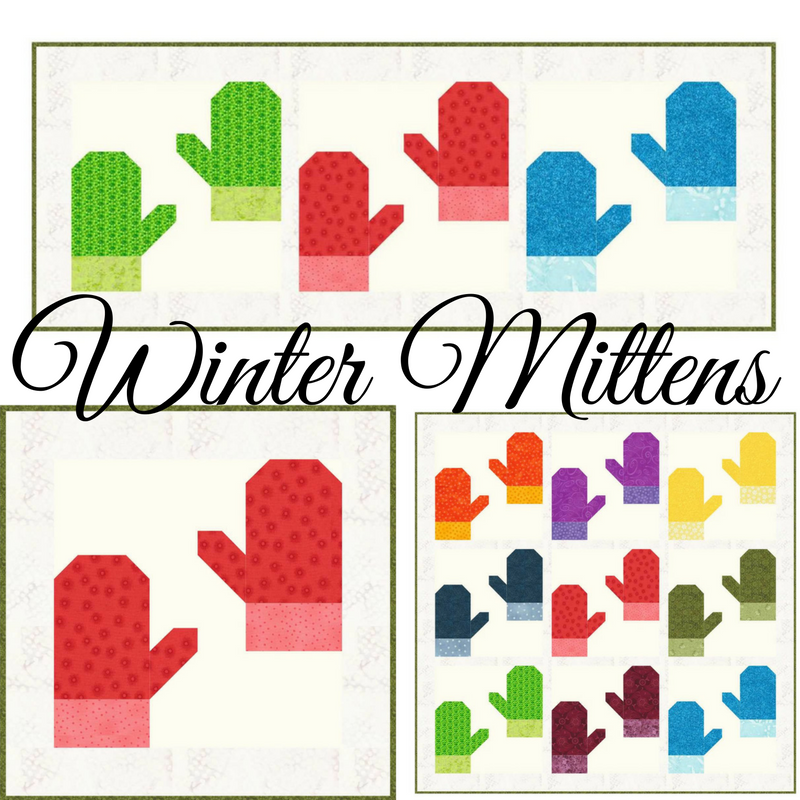 Winter Mittens is a 12" quilt block. 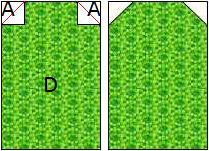 Step 1: Use the STOP method to add the White (C) rectangle and (A) square on the Dark Mitten (B) rectangle. Make one facing left and one facing right. Step 2: Use the STOP method to add the White (A) squares on the corners of the Dark Mitten (D) rectangles. Make two units. Step 3: Along with the White (D) and (B) and Light Mitten (C) rectangles, arrange and sew the units together to complete the block. Block should measure 12.5” square. Here is my Winter Mittens block. The free colouring page has been downloaded over 2000 times already! Click here to go to the "Have a Jolly Little Christmas" quilt along page. My first finished project made for the Have A Jolly Little Christmas quilt along can be seen here. The second project made using the Holly & Berries block design can be seen here.